Shelley Donohue is a freelance writer living in Portland, Ore. She enjoys writing about health, nutrition and fitness among other things. She has degrees in exercise science and psychology, along with certifications in personal training and holistic nutrition. Carbohydrates are an essential part of a healthy diet. All of your body's cells require carbohydrates for energy and proper function. Choosing healthy sources, such as fruits, vegetables and whole grains, most often helps keep your blood sugar and energy levels stable and your body running as it should. Carbohydrates should account for 45 to 65 percent of your diet, according to the 2010 Dietary Guidelines for Americans, or 225 to 325 grams within a 2,000 calorie-per-day diet. A diet tracking app like MyPlate can help you monitor your carbohydrate intake. Vegetables are among the healthiest carbohydrate sources for several reasons. They contain fiber, vitamins, minerals and antioxidants. Many vegetables are said to be cancer fighters, and will help ward off other diseases as well. 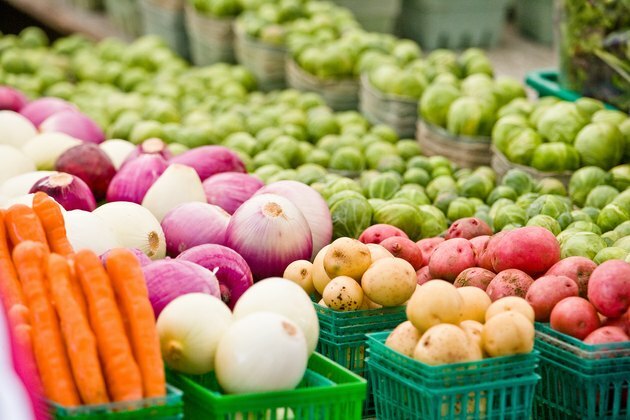 Healthy vegetables include broccoli, spinach, carrots, celery, onions, garlic, asparagus, kale and many others. Women should eat 2.5 cups of vegetables daily, while men need to consume 3 cups daily, according to ChooseMyPlate.gov. Fruits are also a healthy carbohydrate provider. They contain rich amounts of fiber, vitamins, minerals and different antioxidants than those found in vegetables. 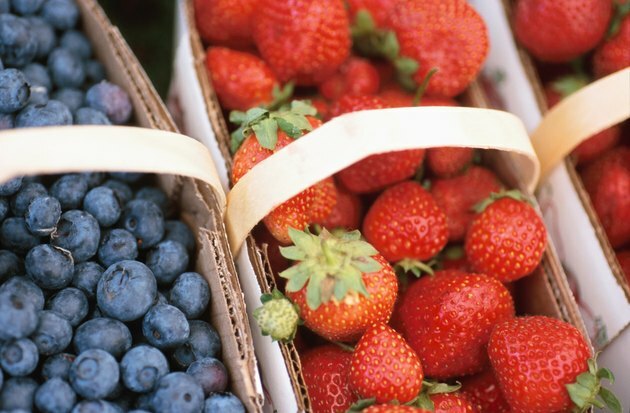 Healthy fruit choices include berries, grapefruit, oranges, bananas, mango, pineapple, kiwi, pears and nectarines. Women should include 1.5 cups of fruits in their daily diet and men need 2 cups of fruits daily. Whole grains include barley, corn, oats, rice, wheat and any other grain that contains all parts of the original grain: the bran, germ and endosperm of the grain. They are high in fiber, vitamins and minerals, and contain some antioxidants that are not found in fruits and vegetables. At ChooseMyPlate.gov, recommendations are stated as "ounce equivalents." Women need a total of 6 ounce equivalents of grains daily. Men should aim to eat 8 ounce equivalents every day. 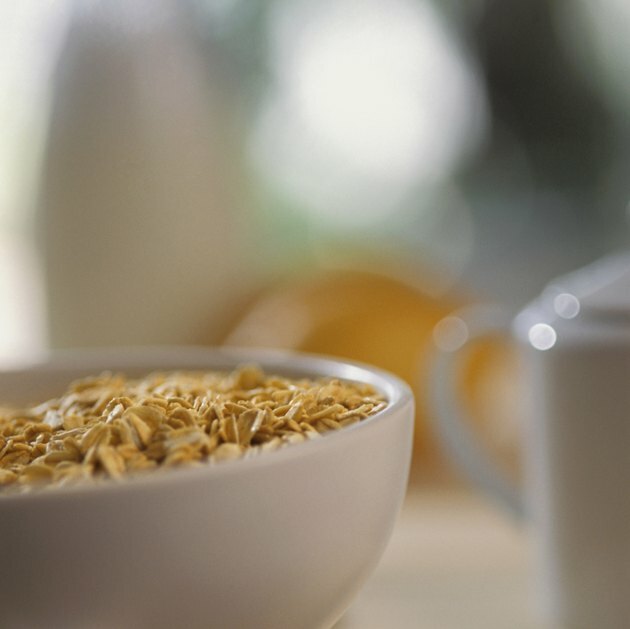 One slice of bread,1/2-cup of cooked oatmeal or rice and 1 cup of ready-to-eat cereal equal 1 ounce. At least half of your total grains should be whole grains. 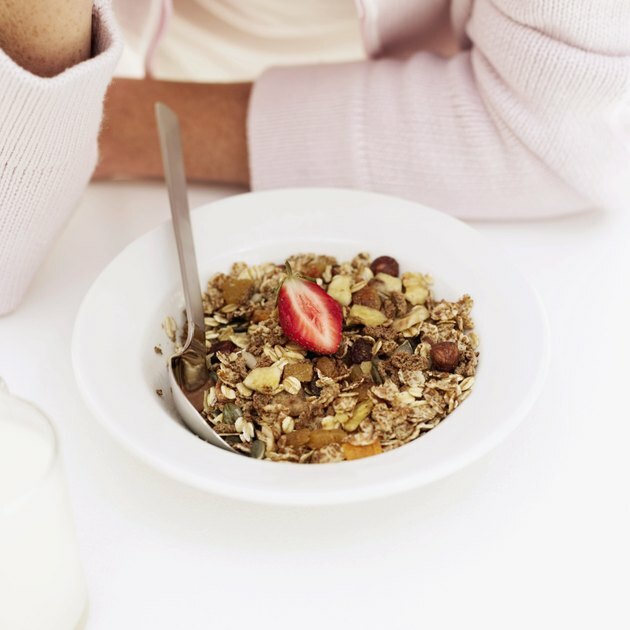 Whole grains are also found in many boxed cereals, whole wheat pastas and breads. The Whole Grains Council has a stamp claiming "100% Whole Grains" that is placed on a product that has been qualified by them, but you may not find this mark on all whole-grain products. Some whole grains may not be the healthiest carbohydrate choice, however, due to the sugars, chemicals and other ingredients that are often added to processed food. When prepared carbohydrate-rich foods, check the ingredient list. 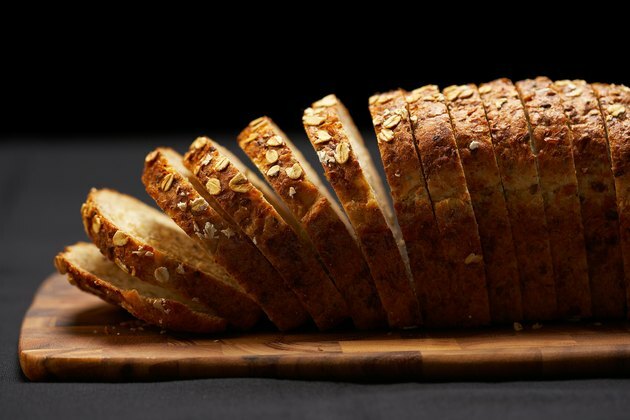 Make sure everything in the list is recognizable and that the first ingredient in the list states "whole," which indicates it's a whole grain. 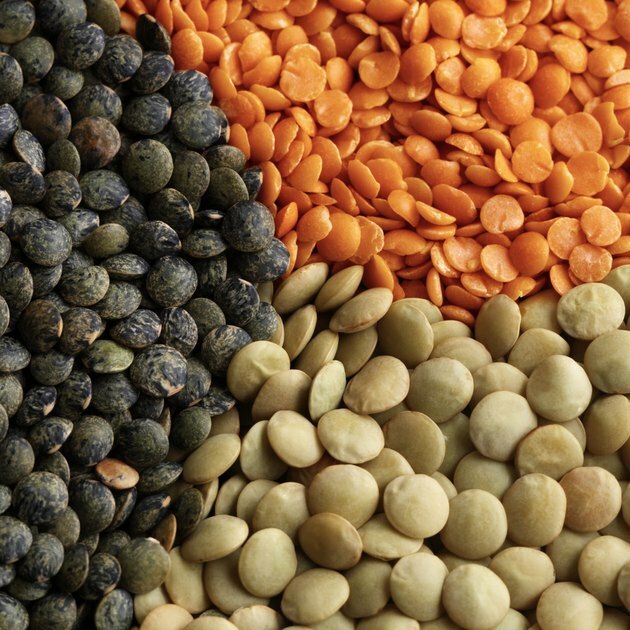 Beans and lentils are some of the healthiest carbohydrate sources you can eat. They both contain large amounts of protein, fiber, minerals and complex carbohydrates. They are low in fat and are easily added to soups, chili and many other main courses. Beans come in many varieties: navy, cannelini, kidney beans, chick peas and more. Beans and lentils can be purchased in bulk or canned. The U.S. Department of Agriculture includes beans in the protein food group and recommends that women eat 5.5 ounce equivalents and men should have 6.5 ounce equivalents daily. A 1-ounce equivalent equals 1/4-cup of beans. USDA: Food Groups: What Counts as an Ounce Equivalent of Grains? How Many Calories Are in One Gram of Sugar?